Seasoned administrators sometimes use the snide term “adult day care” for the chore of informing staff to policy changes and documenting acknowledgments for the paper trail. So when Illinois lawmakers responded to the recent #MeToo controversy with new legislation requiring all public employees acknowledge the new policy, leaders in DeWitt County, Ill., turned to their Aladtec workforce management system and called for employees to read and sign off on the sexual harassment policy. While some supervisors chaff at having to obtain and file such documents, Rentmeister didn’t worry when a harassment case surfaced recently and the accused employee claimed he was unaware of such a policy. Rentmeister dug into her files, pulled the signed acknowledgment and the worker was dismissed without further dispute. The administrator also used Aladtec’s Required Message function to remind 82 staffers to check their member profiles for accuracy to assure they receive their mailed W-2 forms. Chief Deputy Bob Spickard recently used the program’s smartphone access to submit his timesheet — while on vacation in California. The pay period ended midweek while he was out of town. His sheriff’s deputies with take-home squads clock in via smartphone from the field if they’re dispatched directly to an incident. 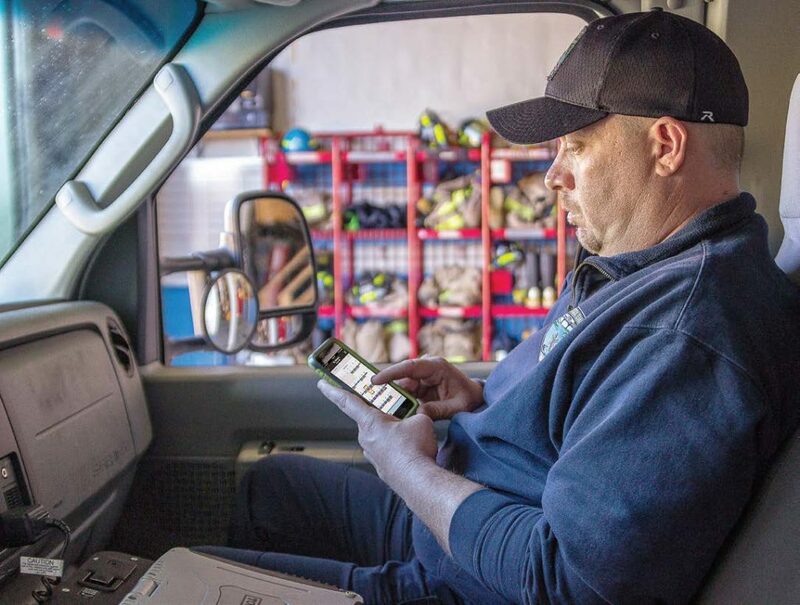 For Rentmeister, the system brings efficiency and time savings by putting everyone from the animal control officer to custodial staff, clerical and highway employees in touch across the 405-squaremile county. Aladtec is a sophisticated online application that runs on secure and dedicated web servers. Users access it from any web browser on any internet-enabled device anytime, anywhere. Users can view schedules, forms, discussions and notifications. They can submit availability, trade shifts, submit time off requests, check certifications, create reports and weigh in on discussions. The features save administrative time, reduce overtime costs, improve communication and increase overall efficiency. Some customers report the program pays for itself within the first few weeks from just overtime savings. Unlimited tech support is free to users. Improved communication reduces employee turnover and burnout. The system tracks everything: trades, vacation time, PTO and approvals. With nothing to install, customers don’t worry about compatibility or system upgrades. It works equally well on Mac or Windows with a variety of web browsers. Colorado River Fire Rescue provides fire, EMS, hazardous materials and rescue response for the city of Rifle, two townships and a surrounding region encompassing about 850 square miles. The service has six stations, utilizing volunteers as well as part-time and full-time staffing. The Aladtec system helps keep them all on the same page. “The Forms feature is great, and we use it for many documents — such as time cards, vehicle maintenance, daily checks, award nominations and more. The staff loves not having to use paper forms anymore,” said Landon Churchill, engineer/EMT with the service. “The mobile functionality makes it accessible to everyone all the time, which is perfect for our volunteer and part-time staff,” Churchill said. Chief Mike Schultz has a goal of banishing paper from his fire and ambulance service in Norton, a suburb of Akron located in central Ohio. He recently added a form to his Aladtec system that enables staff to update pre-plan documents in the field by simply making electronic notes in the field on building updates, ownership changes, or special cautions and hitting “send.” Office staff updates the respective record immediately. 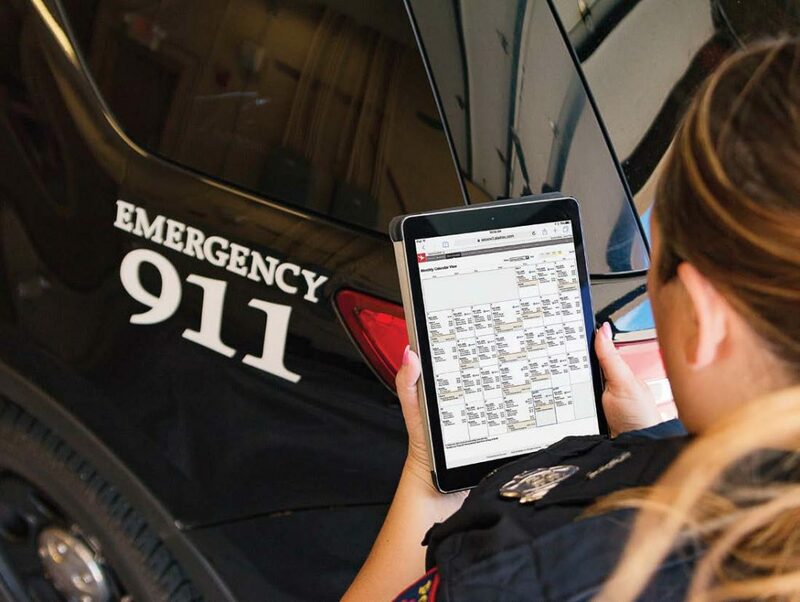 When he learned of significant changes to traffic flow in a notoriously dangerous coverage area where they share auto-response to incidents with several neighboring departments, Schultz used the Required Message feature in Aladtec to push out a new standard operating guideline. Within a short time, all personnel had viewed and signed off on the message — no paper involved. “We love it. It streamlines our processes of everything,” Schultz said. From medication checklists to truck inventories, they use electronic forms. Even a clipboard that once hung in the truck bay noting only maintenance issues has disappeared. 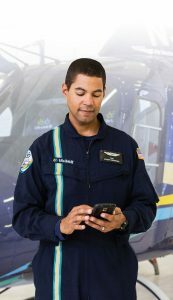 The maintenance tech receives details of mechanical problems within seconds via a notification crew members can send from the Forms area in the Aladtec platform. Norton Fire & EMS, Norton Police, along with neighboring departments of Barberton and Copley Township, and their joint dispatch center — Southwest Summit Communications — all use Aladtec for scheduling. The respective leaders regular trade ideas on new ways to harness the system. Once Schultz takes delivery on a new flat-panel TV for his squad room, he’ll display the current duty schedule from the Aladtec program on the wall. The paper copies he’s been posting for years will disappear.